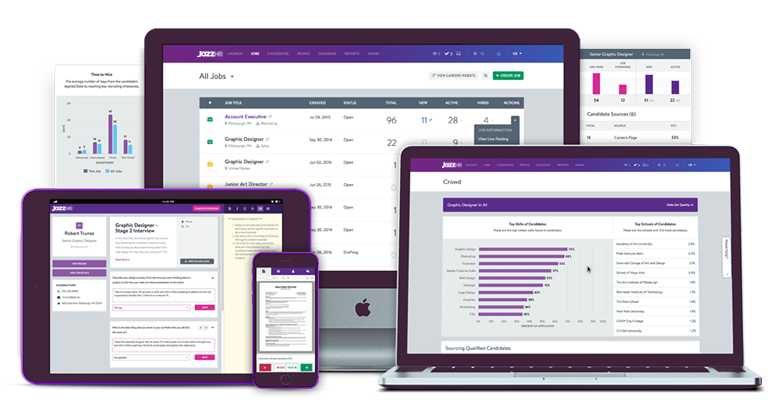 Jump Consulting has partnered with JazzHR to offer you the most user friendly Applicant Tracking System on the market. We are excited to offer introductory discounted pricing, as well as a preloaded job description and job application to help you get started. JazzHR is everything you need to find better candidates, get more organized, and make great hires. Fill out the form and we will be in touch soon!